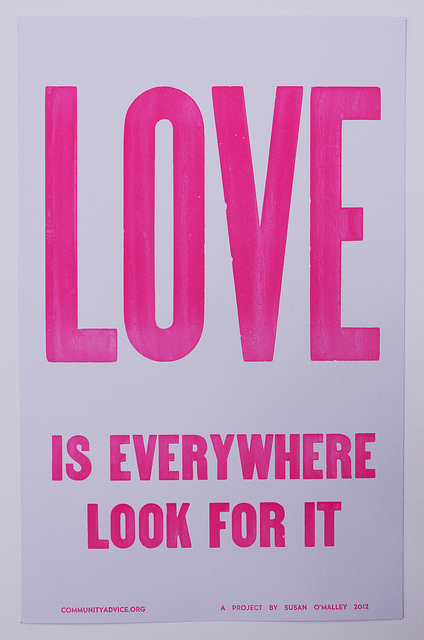 Love is everywhere, look for it. Yesterday I was reminded of this when the refrigerator broke. The over-ripe bananas that I had accumulated in the freezer started to defrost and I was faced with no other choice than to make banana bread. And naturally, banana bread reminds me of love. The sweet carmel-y smell of the bread baking reminds me of my mother’s love. Growing up in a big family, my mom would make dozens of loaves for us in one day (as opposed to the the measly two that I managed to bake). I still think there is nothing like coming home to a freshly baked slice of banana bread. When it’s moist with a carmel-crisp top just add a smear of butter and you will cry and go to heaven. I didn’t really mean to make this post about food, but I guess I’ve done it, so here it is. The recipe was nothing special, just found here on the internet. 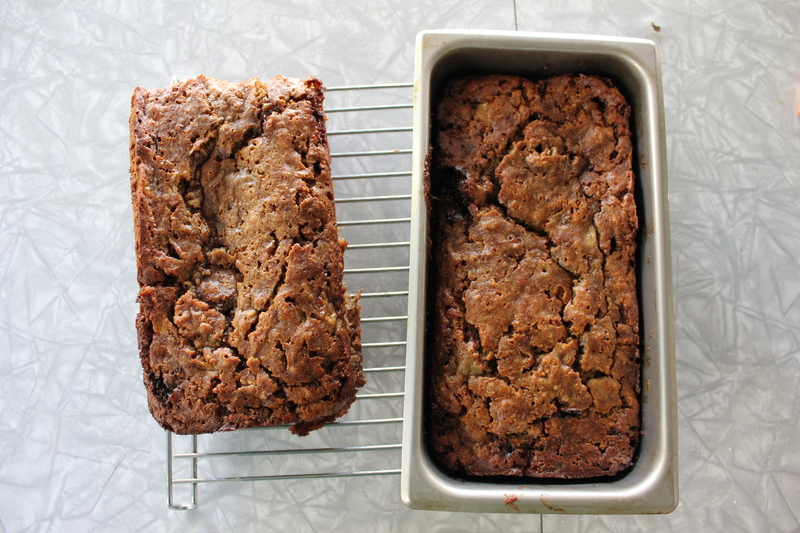 I suppose I have to show you a picture of the banana bread I made, so here that is too. Not quite the perfect specimens, but I assure you they taste like love. This entry was posted on Thursday, February 14th, 2013 at 12:30 pm	and is filed under Blog. Categories: Blog. Tags: banana bread, food, love, and mom. You can follow any responses to this entry through the RSS 2.0 feed. Yummy! Love nanner bread. Sorry to hear about the fridge.